Sample seafood in Lima, explore ruins and haggle at local markets in the Sacred Valley, learn ancient traditions at the Planeterra-supported Women’s Weaving Co-op. This is perfect for those looking to experience the region’s archaeological and cultural treasures in a short amount of time, this adventure includes a 3-day or four-day trek and/or train to Machu Pichu. All transport between destinations and to/from included activities by Public bus, plane, train, boat, canoe, hiking. 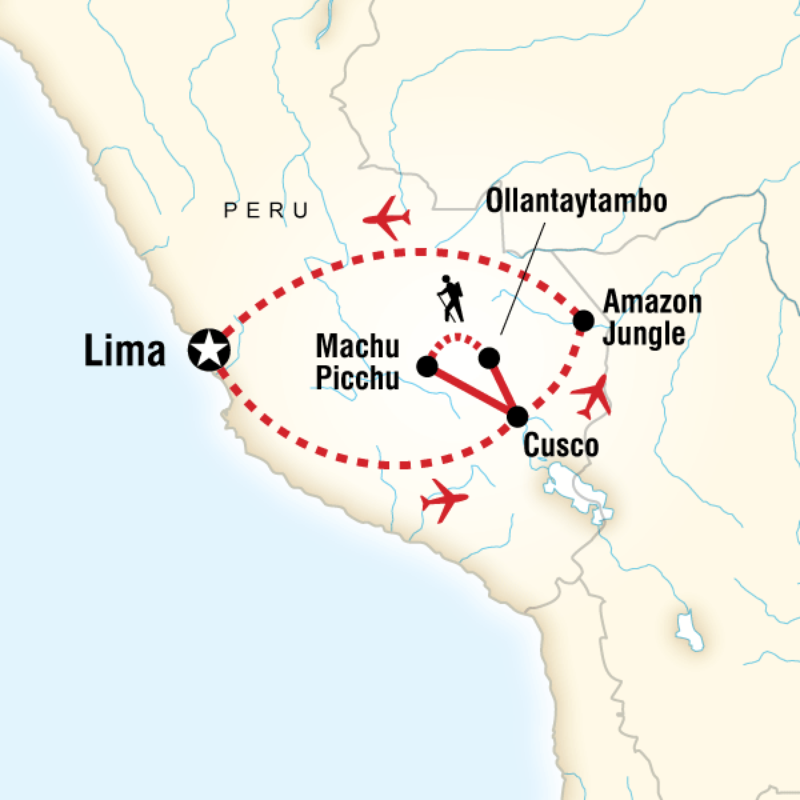 Representatives in Lima and Cusco, specialist Inca Trail or Lares Trail guide on hike and expert jungle guide in Amazon. The final day of the Inca Trail hike starts pre-dawn to reach the Sun Gate before sunrise. Wake up around 03:30 and walk to the checkpoint. Catch the first views of the breathtaking ruins of Machu Picchu on a clear day. Hike down to Machu Picchu for a guided tour of the site and free time to explore. Opt to visit the Inca Bridge, if time allows.